*Minimum number of participants is 2 people! - Larger groups enjoy a discount rate per person! 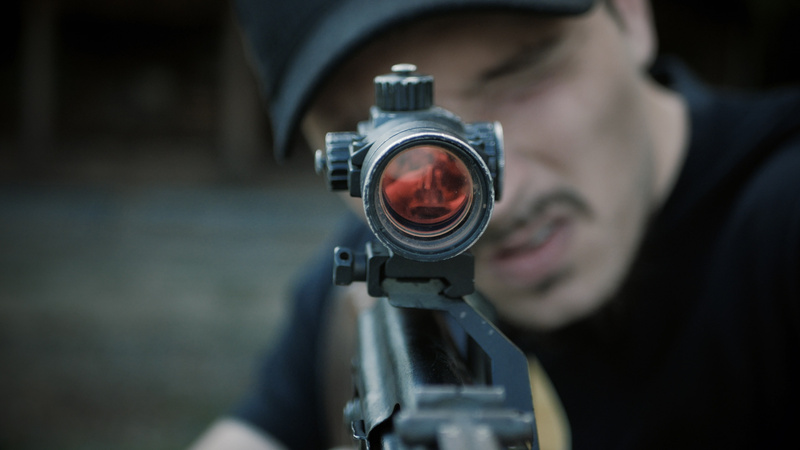 - All weapons have recoil. 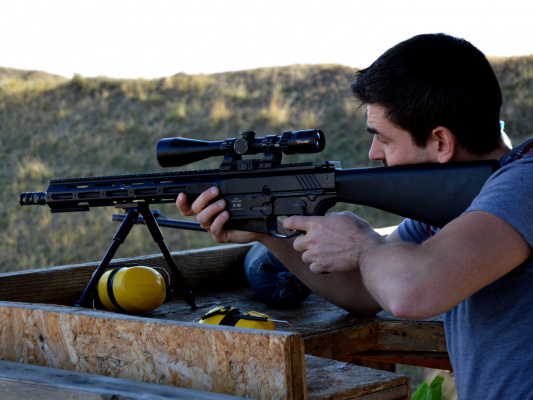 The bigger the caliber - the stronger the recoil. - Be prepared for changing weather conditions. 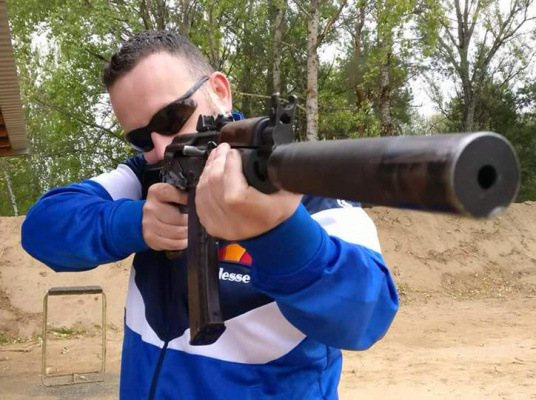 Join us to experience the power of real firearms and practice shooting under the guidance of an experienced instructor at a professional shooting range! 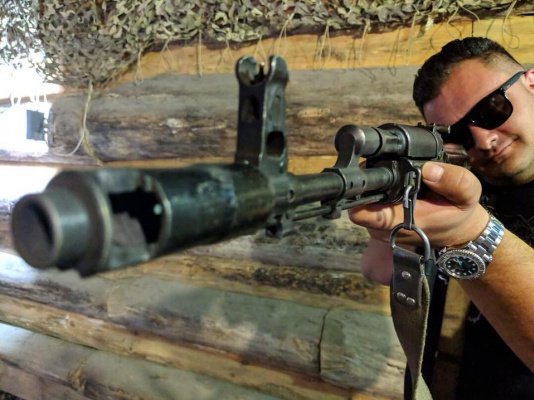 Our tours feature the most popular and interesting weapons, ranging from the legendary АК47 to the Glock17 pistol and high-power sniper rifles. How does the Shooting Tour work? 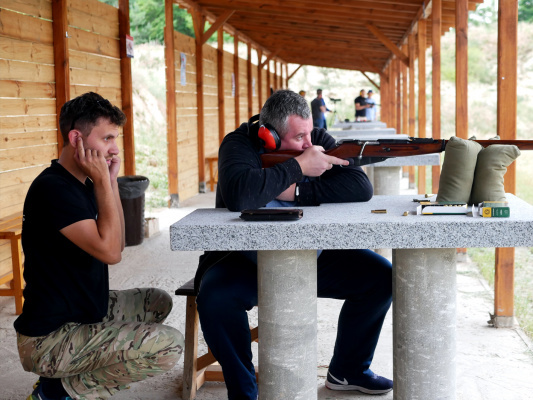 We drive you to the shooting range 25 kilometers away from Kiev where you receive short training on safety and shooting. 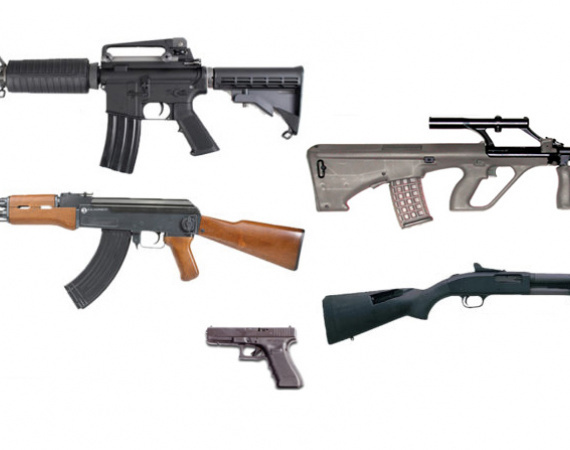 After that, depending on the package you chose, you practice shooting with different types of firearms. During the course of the tour an experienced instructor is always on hand to answer your questions. We offer lunch and beverages, and afterwards we accompany you back to Kiev. 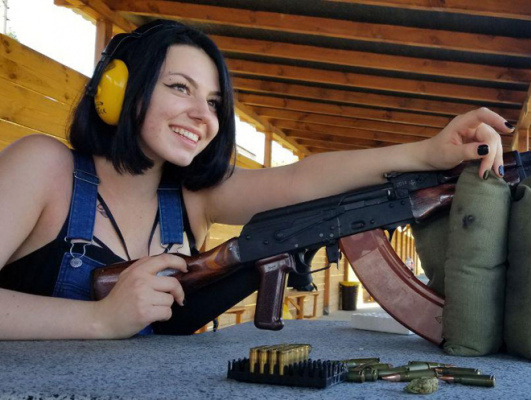 Choose the option that suits your tastes, and sign up now for a shooting tour! 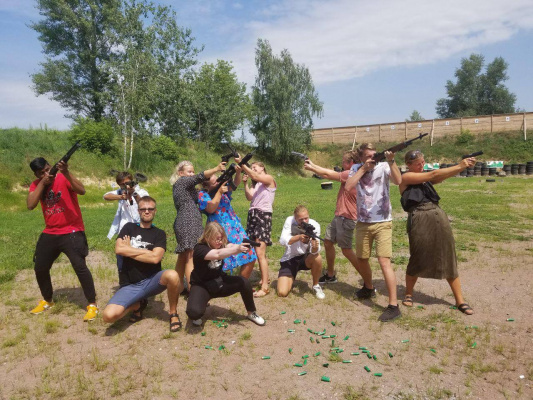 Bring friends for additional fun and indulge in a friendly shooting competition! Join Adventure Tours for this great experience, to create unforgettable impressions, and maybe get hooked on a new and exciting hobby! Who are these tours geared for? - Airgun enthusiasts. 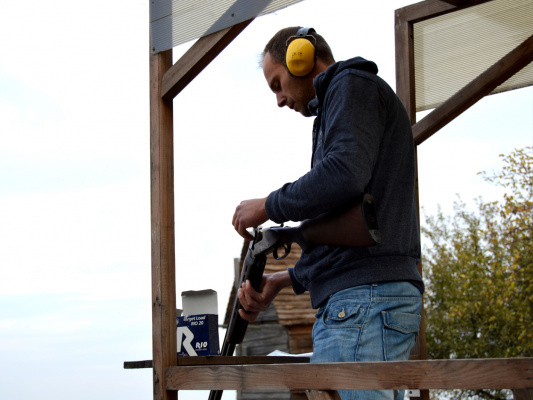 It’s a treat to handle a real firearm, and to compare this experience with firing a pneumatic weapon. - Hunters. 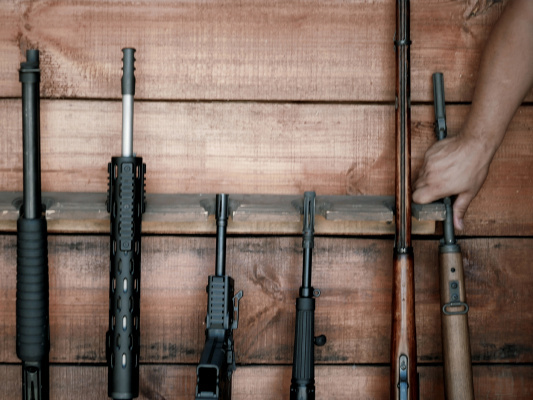 As a hunter, you can practice with different models of firearms, and expand your shooting horizons. 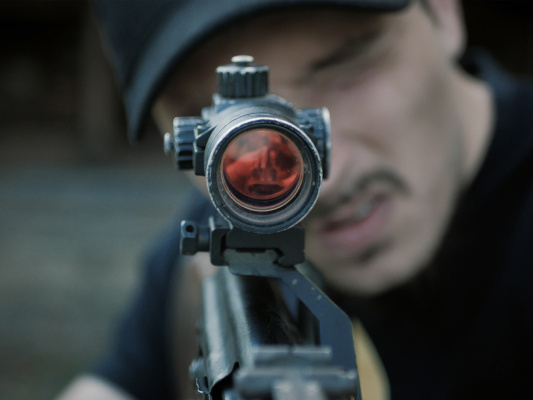 - Shooting novices. 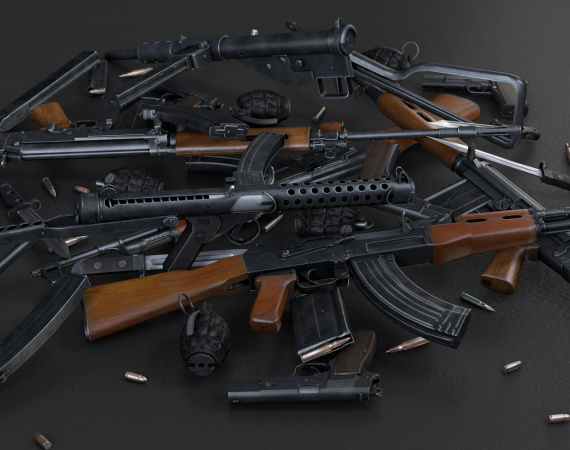 Learn about safe handling of firearms and become a pro with the weapon of your choice! 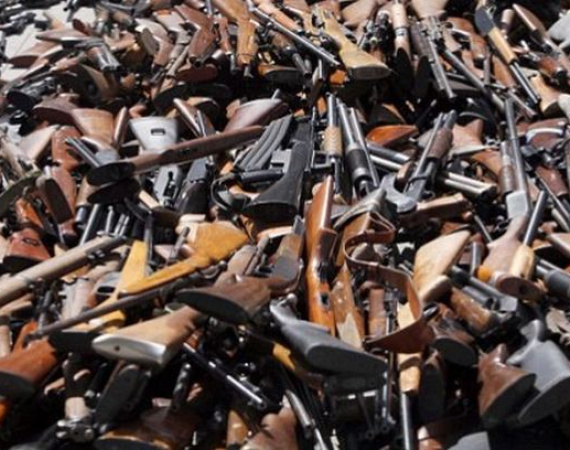 Kalashnikov’s legendary automatic rifle is the world’s most used firearm. It uses a 7.62 mm caliber cartridge. 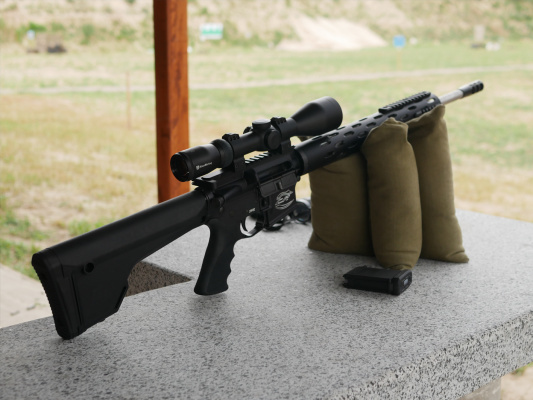 This American police service rifle is equipped with a .223 Rem caliber cartridge. 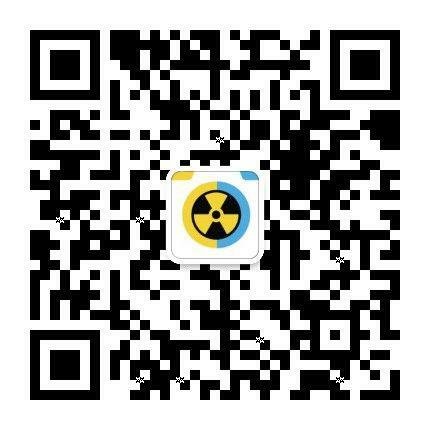 It is very widespread and popular in the USA. 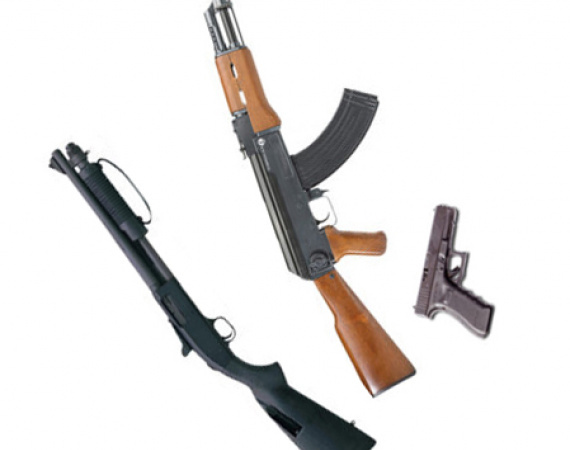 One of the most reliable and easy-to-use firearms, it is very popular with hunters and security agents. Reloads by means of a moveable forearm, which is activated by the shooter’s hand. Introduced in late Tsar times o the Russian Empire (in 1891), this rifle participated in most armed conflicts that have taken place around the world since then. 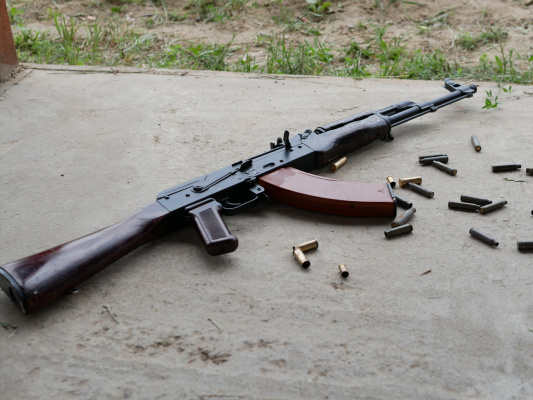 It uses a 7.62*54 mm caliber cartridge and is a fearsome weapon, even though it’s over a hundred years old. This lightweight, durable pistol was developed for the Austrian army. It is a popular self-defense weapon. Uses a 9*19 mm caliber cartridge. 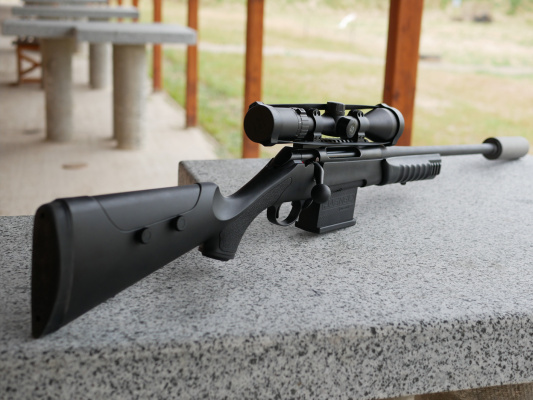 Designed for hunting medium to large game, this rifle has a range of up to 300 meters, and reloads automatically. Developed in Ukraine, this semi-automatic pistol is used as a service weapon, and takes a 9*19 mm caliber cartridge.